If you’re searching for a Tampa landscape company with the knowledge and experience necessary to effectively perform jobs of all sizes, look no further than Evergreen Total Landscape. For more than 25 years, we have provided Tampa customers with second-to-none services, including commercial landscape maintenance, Christmas light decoration, pest control, irrigation, landscape design, and more. At Evergreen, no job is ever too big or too small for our professional landscapers. No matter what property we’re working on, Evergreen Total Landscape prides itself on providing the total customer experience. We’re a Tampa landscape company that builds active relationships with our customers, frequently inspecting the properties we maintain to ensure everything is looking pristine, working properly and to address problems right away should they arise. We never consider our job complete until the customer is completely satisfied. 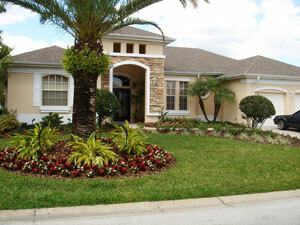 If you would like additional information about our Tampa landscape company, please contact us today. We also offer service to customers in St Petersburg, Lakeland, Clearwater, and throughout Florida.